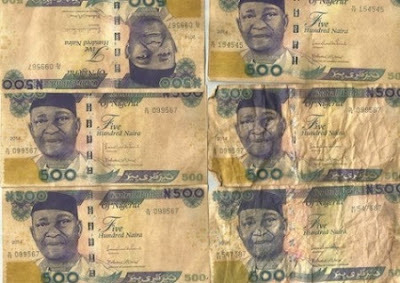 The Enugu State Police Command has arrested a fake producer of counterfeit banknotes. Command spokesman Ebere Amaraizu said in a statement to Enugu on Sunday that the suspect, Collins Oputa, was arrested on 26 July. Mr. Amaraizu noted that the exploit was carried out by police officers from the Ogui Police Division of the command. Oputa, who claimed to be from the Ohaji community of Imo State but residing at 4 Fatimo Close in Ijegun, Lagos State, was arrested in Lagos. "His arrest follows a manhunt initiated on the basis of intelligence gathered on his alleged criminal activities of production and delivery of bank notes to his agents," he said. Mr. Amaraizu stated that the suspect had assisted the police officers in their investigation in relation to his alleged criminal activities with his cohorts. For his part, Mr. Oputa blamed the situation for his alleged involvement in the unlawful act on the devil. He pledged to leave the illegal trade if he was forgiven.